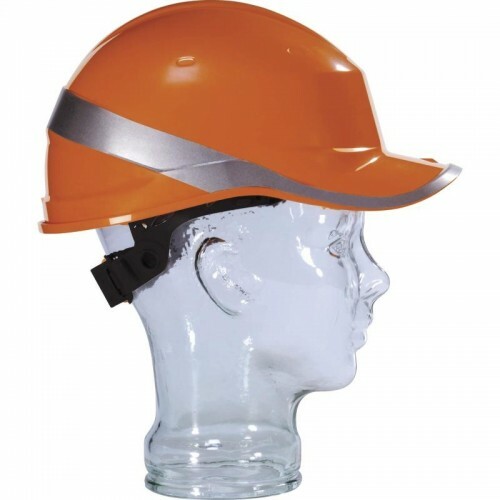 Made from ABS safety helmet. 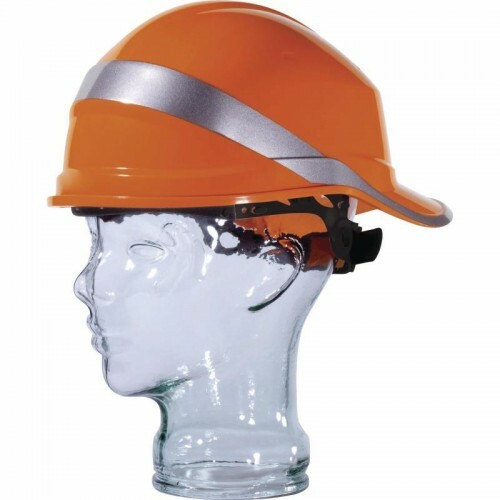 Innovative "baseball cap" shape to improve the vertical vision. Also tested for front back wearing, to reduce encumbrance. Textile harness: 3 textile straps with 8 fixing points. Foam sweat band. Innovative button adjustment "color to color" for head sizes 53/63 cm. 2 possible positions of the headband (top/low) for a better comfort. Electrical insulation. Fluo colors and retroreflective bands for high visibility day and night. 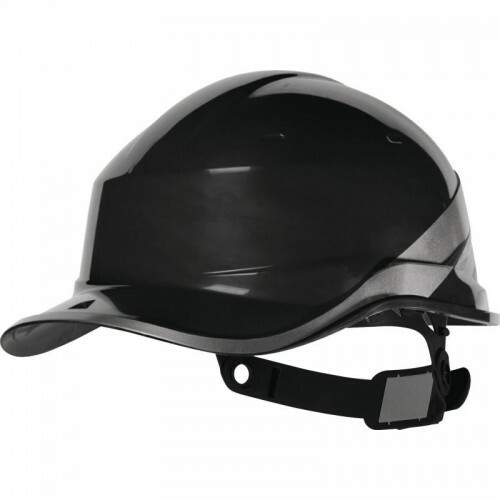 This helmet is validated with the following accessories: JUGALPHA, DYNAMIC JUGALPHA or MENTALPHA. e) the size or size range.